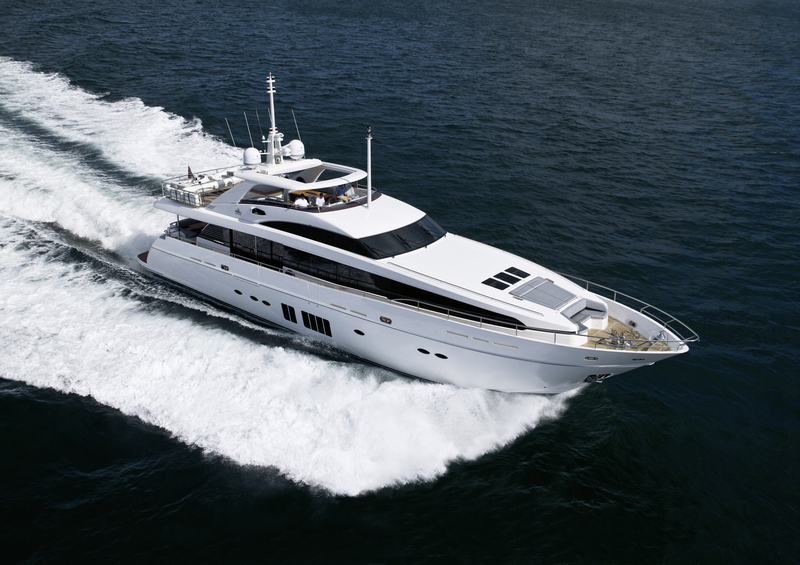 Princess Yachts International will have another impressive display of boats at this year’s Cannes Boat Show in September including the new Princess 32M which is been shown at the show for the first time. 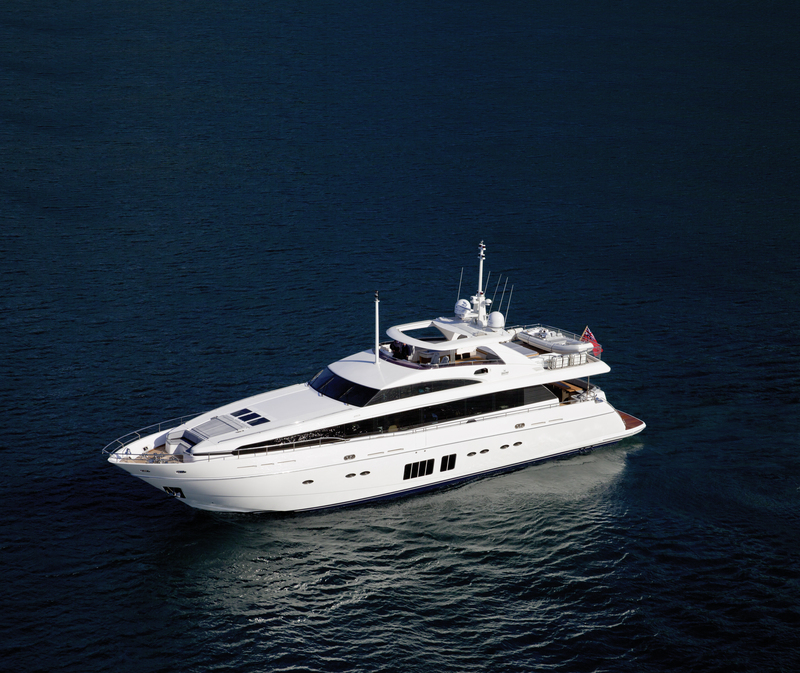 After a highly successful world premier in London this January, the Princess 32M has been receiving global acclaim and as the first Princess over 100-foot she has been heralded as a stunning debut for the brand in the ‘superyacht’ market. A remarkably accomplished long range cruising yacht, she heralds the dawn of a new era for Princess yachts and a distinct horizon for the brand. Beautifully styled and finished with a meticulous attention to detail there is unprecedented scope for an owner to personalise and specify to their own requirements. 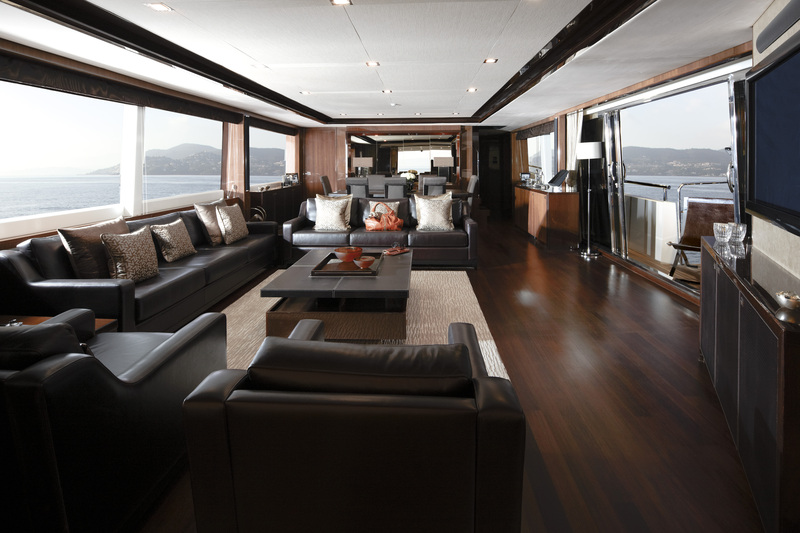 A huge saloon features vast windows to each side and sliding doors leading out to a drop-down balcony to starboard which gives the entire main deck the benefit of a spectacular open vista. 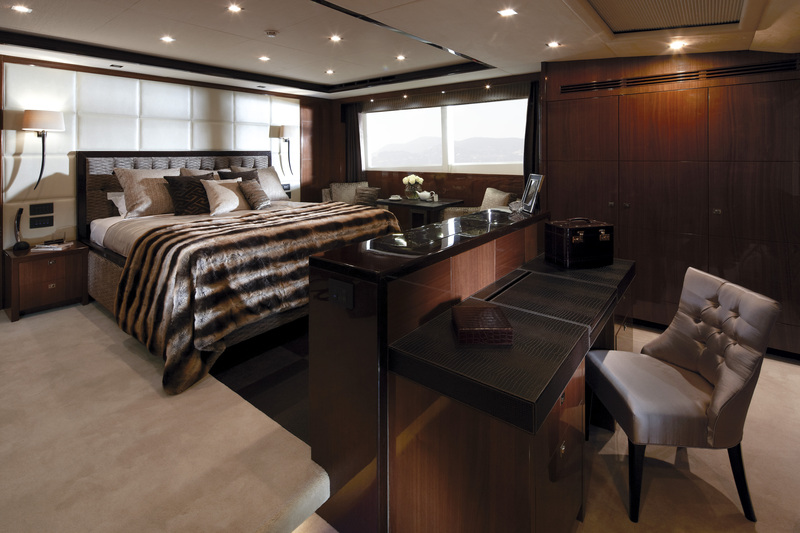 Offered with four or five guest cabins, her owner’s suite is located on the main deck benefitting from large windows providing excellent views on two sides. Princess have partnered once again with fellow LVMH brand Fendi Casa who have accessorised the 32M interior for the show from their latest collections. Princess yachts are already building hull number 4 of the 32M at their new facilities in Plymouth, along side the first Princess 40M, a 130 foot tri-deck yacht and a new flagship for the company. With a firm order book in place for both vessels, the British builder is confident of further growth in this market.